As an entrepreneur, managing your brand reputation is very important. In today’s marketplace where social media is such a dominant marketing tool, you simply need to be on top of things on social media. Do you really have to be on top of social media? Well, not if you don’t want to grow your business by leveraging the power social media and internet marketing has to offer. You can simply ignore it and build your business slowly using traditional ways and it may still work the way it always has. But if you want to be on the cutting edge and build your brand identity online to take your business on fast track, you can’t afford to ignore social media marketing. And that is when reputation management becomes an important aspect of your overall campaign. An important aspect of brand reputation management is monitoring what is being said about your brand name on different social media channels. You can use Google Alerts and other alerting services to be notified when your brand name or keywords you are interested in, are mentioned on the web. But what I am here to discuss here with you today, is about real time monitoring of social media channels such as Twitter, Google+, Facebook and LinkedIn for your brand’s name and certain keywords that interest you. You want to use these features to not just monitor your brand reputation in real time but also find opportunities to grow your business. My favorite social media management tool, HootSuite comes with some incredible features for this job. Although HootSuite Pro comes with many premium features and analytics, you only need a free account for social media monitoring using HootSuite. If you don’t take time to understand the power HootSuite brings to the table, you may feel it is too complex a tool for you. However, when you realize how organized HootSuite helps you get, you will be amazed. The streams within each social network tab can be used to monitor different activities. For example, when you look in the image above, you can see that I have setup my Twitter tab to show streams for my Home feed, Mentions and a search stream for a few keywords of my interest. You can have multiple streams created to monitor for keywords, mentions of your brand name etc. for each social network. This allows you to not only monitor in a real time manner but also to respond or join the conversation in real time. When you sign up for HootSuite, you get the default tabs for each network and typical monitoring streams within each. Those are great news, especially since it allows you to monitor all your social networks from one place. However, you begin to appreciate the power that HootSuite brings to the table when you begin to use the option to create saved searches as streams within your tabs. This is where social media monitoring begins, where you can include one or more search based streams within each network tab, and start monitoring what people are talking about surrounding your keywords or phrases. When you click on “Add Stream” button, a new popup will come as shown in the image above where you will choose your network from the left hand side and then enter the keyword or phrase you are interested in monitoring. After you’ve entered the keyword, as a final step, click on the “Add Stream” button to add the stream to the tab and close the dialogue box. Now, you will see that a new stream would have added to your social network tab. With that you are now monitoring all conversations around your keyword or phrase on that social network. Now, let’s discuss some of the cool benefits of setting up these search based streams using HootSuite and how you can not only monitor your brand reputation but also grow your business and create better engagement online. When you are monitoring your name and your keywords on your social media channels of focus, you will get alerts in real time. When you do get a notification about a mention of your brand name, you have the opportunity to promptly respond. Responding in a timely manner to customer queries, complaints of dissatisfied customers or questions from prospective customers etc. has its own benefits. Your credibility increases because you respond in a timely manner and that instills belief in the marketplace that you stand behind your brand. Have you seen how much of irrelevant stuff flows through your home feed every day? Especially on Twitter and Google+ we face this challenge. The more people you follow, the more cluttered your home feed becomes. 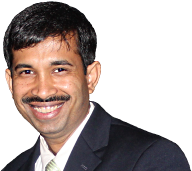 Now, some experts will tell you to only follow people who really matter to your business/niche. Well, that may seem like viable advice, but I know how I feel about the social credibility of somebody when somebody is extremely active on Twitter and had 27 followers. So, instead of unfollowing people, I find using custom streams using HootSuite much more fruitful. All I have to do is, setup streams based on a few keywords and phrases of my interest and only keep those streams in front of me. It’s clean, focused and a very efficient way to manage your social media engagement. As an entrepreneur, you should be monitoring your keywords on social networks. This gives you an opportunity to participate in conversations going on about your topic. May be, you can answer some questions and begin to build some relationships. For example, I have a saved search stream on the term "Blogging for Branding". Whenever I find somebody mention about this term, I pay attention to it. I have been able to build a few good friends by just watching for this term. It also helps me get new clients. This applies more to Twitter and Google+ than Facebook and LinkedIn simply because of the public nature of these services. About Twitter, it is said that it is a conversation which is always happening – with or without you. It also means that everybody is saying something on Twitter. The problem is, hardly anybody is listening. And those who are willing to listen, mostly don’t know how to listen. HootSuite’s search based stream creation is a great way to start your social listening. How about building some relationships on social networks with some influential people in your niche? How about getting into conversation with some of your prospective clients and leaders in your industry? In business, you know how important it is to pay attention to what your competition is up to. Well, if you understand what you’ve got your hands on with this awesome feature in HootSuite, you can just setup some streams for your competitors and find out what they are doing on Social Media. This knowledge can prepare you to fine tune your own campaigns or come up with new strategies for growing your business. If you want to grow your business, watch how your growing competition is doing, learn from it and then act accordingly. Isn’t this free feature so awesome for such a thing? Have you benefited from social monitoring feature of HootSuite? What are some of the things you love about HootSuite? What other benefits do you think HootSuite offers that makes it such an awesome social media management tool? Please share your thoughts or questions in the comments section. Thank you kindly! An informative piece of writing about HootSuite. I stumbled a couple of days back over the Internet and went through their site but somehow, things didn’t caught my attention because I thought that managing Social Media directly from their interface was much easier for me. It seems that once again, I need to review my decision and see the value that it can bring to me while building the brand reputation of my blog. Thanks for sharing your deep insights about the topic. Yes, I thought so as well when I got started using Twitter. But soon things began to become intimidating as I started to follow more people and others started following me. The Twitter feed became too much to handle and after all not everything that was flowing through my feed was interesting to me. I’ve been using HootSuite for about eight months now and I really like it. I love that I can keep all my RSS feeds and access my social media accounts in one place. I had to go back to the free version for a while but I really miss the Pro’s features. The only thing that would make it better is if we could access RSS feeds via their mobile app. Thanks for showing folks the benefits of this awesome tool! Hope you’ve been having a great week! I think their mobile App is a bit behind when it comes to features. But I think it will get better. Thank you for dropping by and adding value through your comment here. It’s a pleasure to meet you. You have a great weekend ahead as well. Well, I’m glad I could finally made this post. I didn’t know there were such thing as a free Hootsuite account. I haven’t made it there yet, but I think I should. I will definitely keep your post to refer to it when I register. Being lost in the maze of Hootsuite was a huge reason for me not to register in the first place. Trust me, you will have a lot of fun with it once you get to know it a bit. Have a great rest of the week! What a great job of sharing with everyone how they can use Hootsuite. I’m a TweetDeck girl myself, I just don’t like Hootsuite. The first thing I don’t like about it is that it’s not a stand alone program. I know, small but that’s a big deal to me. I’ve given it a test drive numerous times but I just keep coming back to my old faithful, TweetDeck. TweetDeck was actually much better before Twitter purchased it a few years ago but they are slowing making some improvements. I don’t use it to schedule posts, I have Buffer for that but I love that it’s very similar to Hootsuite. Whichever one people chose to use I think they’ll benefit greatly because it’s definitely the best way to organize your lists and keep a better handle on your stream. Thanks for the overview and enjoy your weekend. I like Tweet Deck as well and I like the way you can have a standalone application or you can use web depending on your preference. However, Tweet Deck is no match for HootSuite simply because it’s only dedicated to managing your Twitter. I am more interested in my social media management tasks than just a single network which is a huge limitation with Tweet Deck. And yes, Buffer is awesome too. I use it especially for scheduling tweets. It’s awesome features and browser plugins that allow scheduling make tweeting so much fun. I love buffer as well. In fact, Buffer and HootSuite are two social media management tools I use personally. Thank you for dropping by and you have a great weekend as well. Great review Kumar! Well written and thorough — and you really hit it home in the section about how important listening is. Many brands still don’t get the power of listening on social, and with that, missing huge opportunities to grow and be proactive. Great Article. YOu just emphasized why I use Hootsuite!! Thanks for making us aware of all the important modules of hotsuite . I have never used hootsuite before and your post has inspired to get started with this social reputation monitoring tool .I have used an online free tool called as woorank to check how many posts were liked,shared or tweeted by the visitors ..now as hootsuite as many interesting features ..i’ll start using it from today itself. You have explained some features here that I was not aware of so thanks for that. I don’t think pro is needed for beginners until you really want to get into tracking and using advance features and manage more than 5 social networking sites with your account. 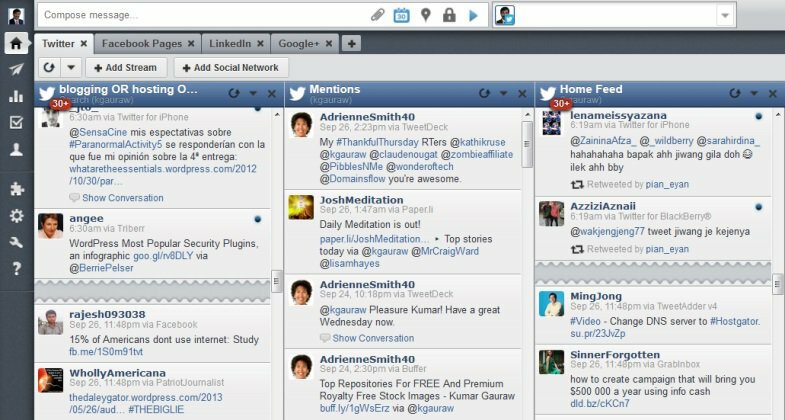 HootSuite free version is powerful enough for most poeple and a great way to begin social media management. I was using MarketMeSuite prior to Hootsuite, which I switched to a few months back, and there’s been no looking back. However, I only use it for twitter and not the other networks as I like to personalize things on Facebook, G+, and LinkedIn because our audiences are different on all such platforms. So, unless they allow us to customize what we share on the various networks on Hootsuite, I wonder how it can really work. I think you mentioned all the perks about Hootsuite here so well, including the additional one of how we can new streams based on certain phrases or keywords. While I have added new streams, but not exactly for keywords or phrases, because I like to reply to each Tweet and would have to go through my ‘Mention’ stream as-a-tis – so that would be taken care of. I am glad to see that we were able to cross the roadbump of 404 error today and you were able to plave your comment here. Thank you for retrying! I guess, at the end of the day it is only about our comfort with a tool or the other. I like HootSuite may be because I just learnt to play with it and now I am comfortable with it. However, many other people are very comfortable with many other tools such as Buffer, SocialOomph, TweetDeck and many more. Whatever it is, the idea is to have a way for social listening. As long as we are able to do that with the tool at hand, I think we are doing good, don’t we? Found this on G+ thanks to Harleena. I think you nailed it. I used HootSuite for a long time but mostly on just Social Media. Very informatics and thanks for everything. Hello Reginald, Thank you for dropping by. I am glad you liked the post and took time to share your appreciation. Have a great weekend my friend! Kumar, I think you have convinced me to try to use Hootsuite again. I wasn’t overly thrilled with the mobile app as I use mobile a lot but I love how the different streams can be used for monoriting as you have shown. I’ve used socialmentions in the past for that and I rely more on Twitter and Facebook lists now than ever before. I use the Buffer for shares but will take another look at Hootsuite, thanks for the informative piece on it. It surely is worth another look. Lisa Recently Posted: Why Are So Many Blogging Today? 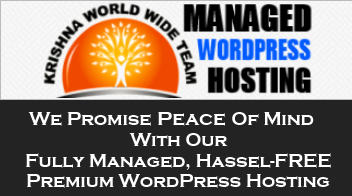 It’s nice experience to visit on your Blog, The Reputation of a Brand is really important on social network & social network has become a important part for Reputation but Kumar, I really aware about HootSuite. Thanks to you for making aware about HootSuite as well as online Reputation too. Some people forget about the monitoring part. For as long as they see results they do not care how much of their effort translated into something substantial. Monitoring is important because you can determine what works and what does not. I have never tried before any marketing tools as such to monitor on whats happening but have relied on Google’s basic analytics and webmaster to fetch out the outcomes. I seems that this hootsuite can ease the ground to social media marketing to a greater extent. I guess this might be the next big thing I must try in 2014. Charmie Recently Posted: Resolute your blog with a proper ATTITUDE this new year..!! I’ve never used Hootsuite but it sure sounds like a really great piece of software so its something I’ll be checking out.